Loon is a flourishing town and the third municipality on the western coast of Bohol from the capital of the province, Tagbilaran City. It is some 25 km north-west of Tagbilaran City, along the route to Tubigon. With wide cemented road, it is very accessible by public utility buses and jeepneys, as well as vans-for-hire. It is next to the municipality of Maribojoc and next to it is the town of Calape. Like the other towns on the western coast of the province, beaches facing the Bohol Strait line along the coastline part of the town. As part of the road traverses along the coastline, travelers are able to see the captivating view of the coastline. Inter-barangay accessibility is facilitated by a good network of barangay roads traversed daily by a number of tricycles and “habal-habal” (motorcycles). The town’s livelihood is mostly centered on agriculture and fishery. Other industries are also abundant in the town which may include tourism, transportation, and cottage (ready-to-wear clothes, mats, baskets). Production of corn and cassava on the rocky slopes of barangay Basdio is itself a tourist attraction because from below, the crops seem to grow not on soil but on black rocks and boulders. The town has its own seaport located in barangay Catagbacan Norte. It has been envisioned as a cruise port by Pres. Gloria Macapagal in her program Strong Republic Nautical Highway (SRNH) of the Philippine Government. 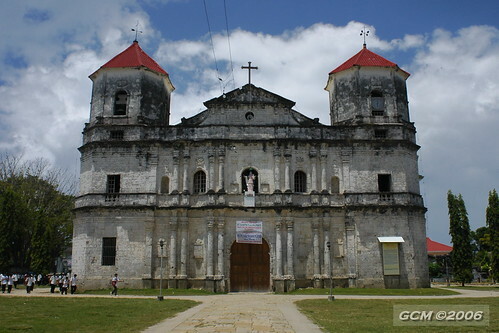 Loon is considered a 2nd class municipality in the province of Bohol. With a land area of 11,884.89 hectares, the municipality is subdivided into 67 barangays which is considered the highest number of all the towns in Bohol. These are Agsoso, Badbad Occidental, Badbad Oriental, Bagacay Katipunan, Bagacay Kawayan, Bagacay Saong, Bahi, Basac, Basdacu, Basdio, Biasong, Bongco, Bugho, Cabacongan, Cabadug, Cabug, Calayugan Norte, Calayugan Sur, Canmaag, Cambaquiz, Campatud, Candaigan, Canhangdon Occidental, Canhangdon Oriental, Canigaan, Canmanoc, Cansuagwit, Cansubayon, Catagbacan Handig, Catagbacan Norte, Catagbacan Sur, Cantam-is Bago, Cantaongon, Cantumocad, Cantam-is Baslay, Cogon Norte (Pob. ), Cogon Sur, Cuasi, Genomoan, Lintuan, Looc, Mocpoc Norte, Mocpoc Sur, Nagtuang, Napo (Pob. ), Nueva Vida, Panangquilon, Pantudlan, Pig-ot, Moto Norte (Pob. ), Moto Sur (Pob. ), Pondol, Quinobcoban, Sondol, Song-on, Talisay, Tan-awan, Tangnan, Taytay, Ticugan, Tiwi, Tontonan, Tubodacu, Tubodio, Tubuan, Ubayon, and Ubojan. Most of the Loonanons are Roman Catholics. They have an old church dating from the 1850s which is dedicated to Our Lady of Light. It is considered as the biggest church in the province. They celebrate the “Festival of Lights” or “SidlaKasilak” every September in honor of the town’s patroness. Barangay fiestas are also celebrated. Tourism industry is also booming in the town. Loon does not only offer beautiful beaches but it also boasts of its captivating waterfalls and springs, caverns that evoke mystery, gardens, as well as its heritage sites and structures. To mention a few, some of these are the Tubig-Loon Spring which is an abundant source of spring water north of the nucleus barangay of Napo after which the town’s name was taken, the Cabilao Island which prides itself having one of the most beautiful dive sites in the Philippines, and the Cabilao Island Lake which is Bohol’s only natural lake located at the middle of an island (Cabilao Island). The town prides itself of its rich cultural traditions and of course, its warm-hearted people. Education is considered important in the town. The government has its own primary and secondary schools. There are also private institutions serving quality education. One of these is the Sacred Heart Academy which is formerly a “convento” beside the church. Public markets and other establishments – both big and small – abound the town. With its coastlines and natural waters and its relatively rolling topography consisting of moderate hills, rolling plains, sparse plateaus interspersed with valleys, and some ravines, Loon has attracted some of the travelers attention. It is even called the emerging giant of Bohol’s eco-cultural tourism industry.